Ready for Move in! 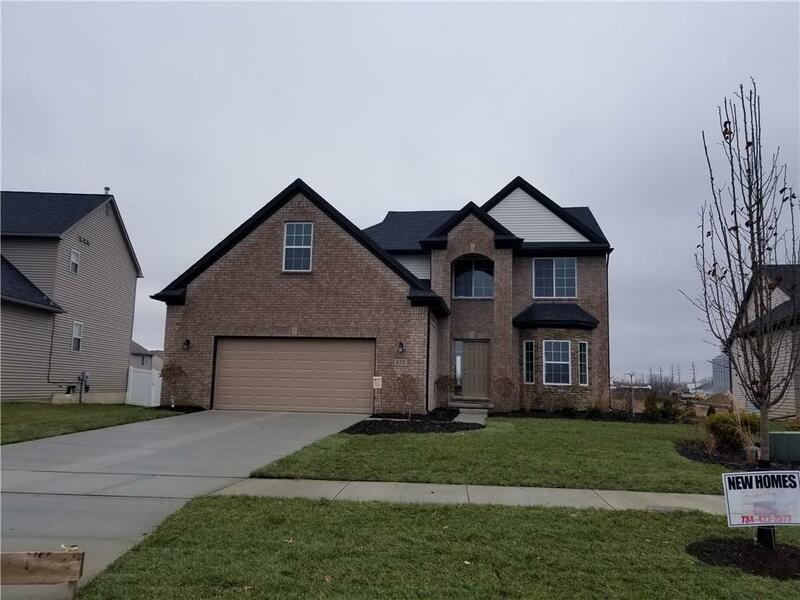 Landscaping with several mature trees in the back yard,and front and side yard sod included!This gorgeous 2016 Builder?s Association Award Winning 2 story offers 2285 SF, 9? first floor ceilings, and a beautiful brick archway covered porch. Open and spacious, this Columbia floor plan features offers 4 bedrooms, 2.5 baths and a large laundry room. Huge kitchen with elegant, white staggered cabinets, granite countertops and an island with an outlet. Hardwood flooring in kitchen, nook, entryway and hallways. Very large master bedroom with a cathedral ceiling, a bonus/lounge room and a large separate walk-in closet. Master bathroom includes granite countertops and a full tiled 3 x 5 soaking tub plus a separate shower with a European glass door. 2 additional large bedrooms upstairs with walk-in closets and another upstairs bath. Full of style and elegance! Photos are actual home for sale. Move in Ready!